Augue interdum velit euismod in pellentesque. Eu feugiat pretium nibh ipsum consequat. Sit amet commodo nulla facilisi nullam vehicula. Sodales ut eu sem integer. Vitae proin sagittis nisl rhoncus mattis rhoncus. Orci sagittis eu volutpat odio facilisis. Aliquam nulla facilisi cras fermentum odio eu feugiat. 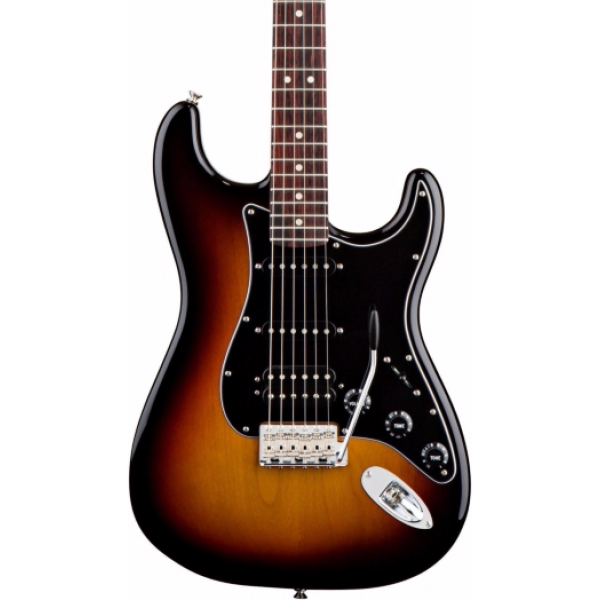 The Fender American Special HSS Stratocaster is features an alder body with gloss urethane finish, a 9.5" radius maple neck with a modern C profile, and a rosewood fingerboard fitted with 22 jumbo frets. You'll get lots of gain and tones galore from Texas Special middle and neck pickups, and an Atomic humbucking bridge pickup while the Greasebucket tone circuit rolls off the highs without adding bass. Other details on this electric guitar include a vintage-style synchronized tremolo, black pickup covers and pickguard, chrome hardware, and a large '70s-style headstock and decal. A polishing cloth and gig bag come with your Fender American Special Strat.